National Harbor’s Gaylord National Resort and Convention Center celebrates every season like no other place in the Nation’s Capital Region. During the winter holiday season, the resort is home to Christmas on the Potomac and ICE! featuring a world of ice sculptures and a full schedule of other festivities. 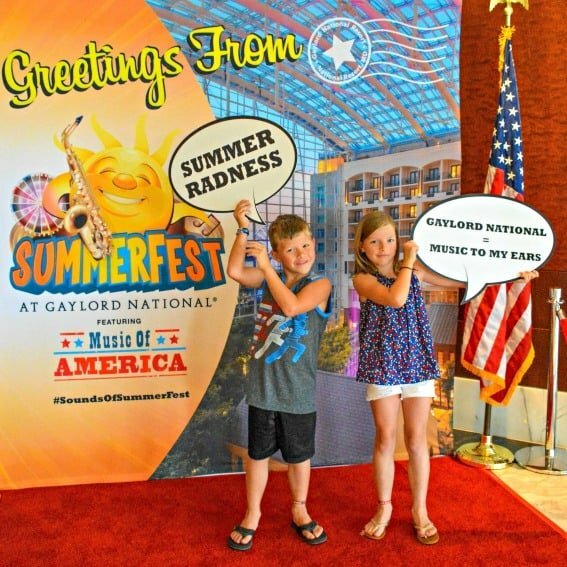 And, again in the summer months, the Gaylord National Resort hosts SummerFest highlighting the Music of America from Memorial Day to Labor Day in 2017. From resort décor to programming, everything at the Gaylord National Resort this summer has a distinctly patriotic flavor complemented by classic, familiar American tunes. Families looking to experience the Nation’s Capital at a more relaxed place while enjoying movies by the pool, live music with dinner, and a full host of memorable summertime activities should consider basing their Capital Region stay at the Gaylord National Resort in National Harbor. 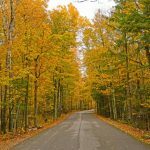 The resort is conveniently located along the I-495 beltway east of Washington DC in Maryland about 20 minutes’ drive from the historic memorials and monuments of Washington DC. The location along the Potomac River is scenic and convenient to historic Alexandria and George Washington’s Mount Vernon. 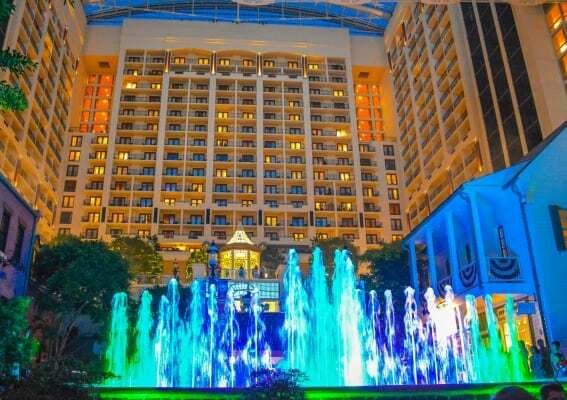 In any season the Gaylord National’s colorful atrium fountain light show is a treat for families. 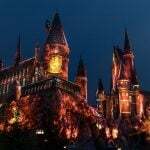 For the summer of 2017, the show is all the more spirited being paired with the festive orchestral sounds of American music. Kids and adults “ooh and ahh” over the water shooting several stories in the air lit by brilliant lights that fill the resort’s atrium. The American theme seems so very appropriate in the nation’s Capital Region. What a way to wrap up a day spent in Washington DC! 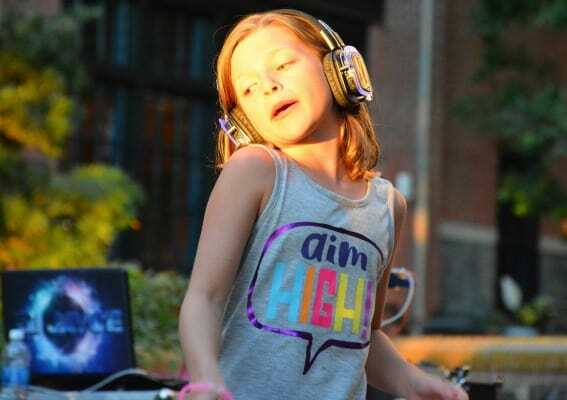 My daughter’s favorite part of the Gaylord’s SummerFest experience was the “Silent Disco” party that we previewed just before the Gaylord’s nightly light show. The headphones provided to make this a “silent” party allow listeners to experience one of three different stations so kids can boogie along with the on-site DJ while mom enjoys a collection of 80s tunes on the sidelines. My eight year old daughter danced the night away – from 8PM till the 9PM light show – while mom, not quite as an enthusiastic dancer, sat on the sidelines appreciating her moves. 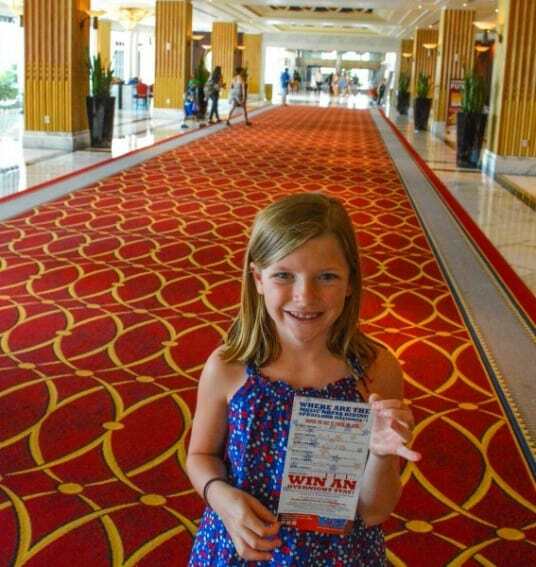 The Gaylord National knows how to create a scavenger hunt! While I have to admit that the summer musical note hunt was not quite as amusing as this winter’s hunt for Santa’s elves, my kids loved running around the resort using clues to find the musical notes. After solving the six clues with her seven year old brother, my eight year old daughter proudly solved the world scramble. I can’t wait to see what sort of scavenger hunt that the Gaylord National comes up with next season. It’s no secret that the Gaylord National (not to mention National Harbor) has plenty of fun dining options both for families and couples. 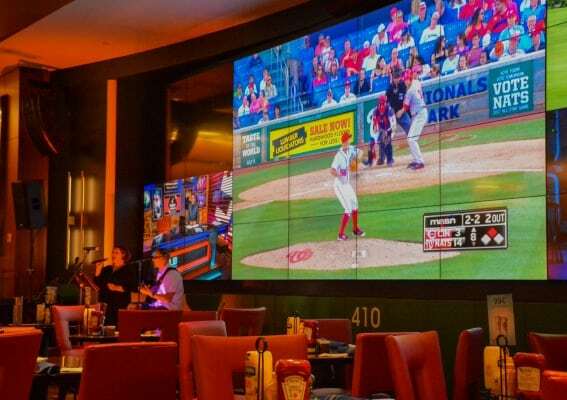 We especially enjoyed our dinner with live music and Nationals baseball on the big screen at National Pastime Sports Bar and Grill. After a day of family fun, my son quietly enjoyed the game while eating his mini burgers and carrot sticks. We also always enjoy the buffet breakfast at Pienza Italian Market. The location in the Gaylord National’s atrium is lovely; it looks and feels like dining al fresco – without the heat, humidity, thunderstorms and bugs of actually being outdoors. The variety of options available at Pienza keeps everyone happy from the made to order omelets to the variety of yogurt to the crispy bacon; we always leave breakfast ready for a full day of fun. 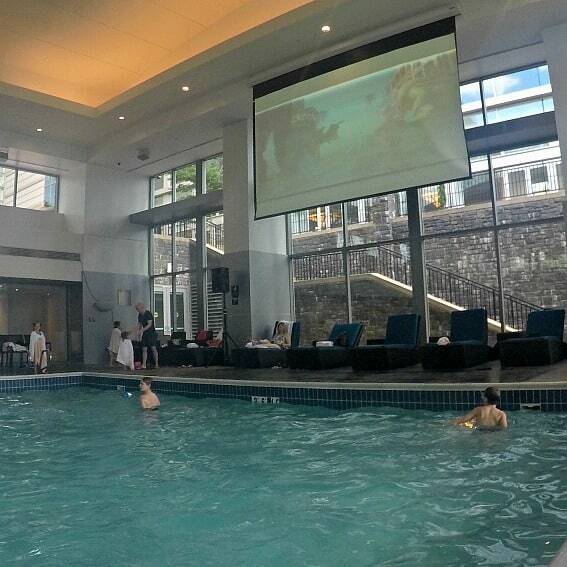 After a hot, humid day of exploring the Nation’s Capital or just enjoying summer to it’s fullest, it doesn’t get much more relaxing than a dive-in movie matinée at the Gaylord National’s indoor pool. Kids can splash and play or just chill by the side of the pool enjoying characters dancing across the huge movie screen. The entire pool is three and half feet deep, plenty deep enough for some swimming fun, but not too dangerous for little ones only beginning to learn to swim. 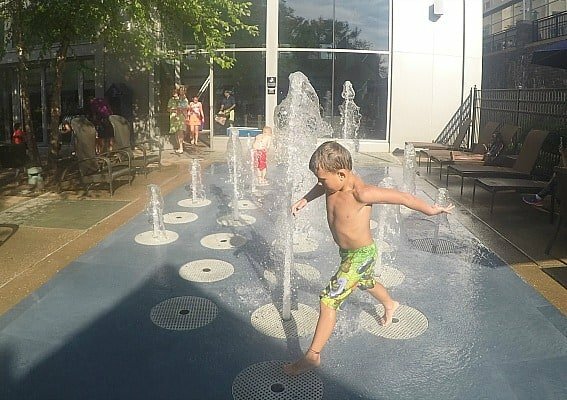 Just outside the indoor pool complex is an outdoor splash pad and fountain area where kids can jump through the cool water. 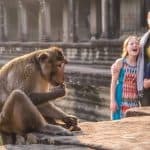 Fortunately, there’s also plenty of lounge chairs so that parents can put up their feet and soak up the sun while the kids play, and a snack bar where frozen drinks and other treats can be purchased. Located right on the Potomac River, National Harbor is a 300-acre waterfront destination with hotels, restaurants, a full-service marina, residences, and shops to browse. This trendy neighborhood in Maryland is located just twenty minutes by car from the historic memorials and monuments of Washington DC. 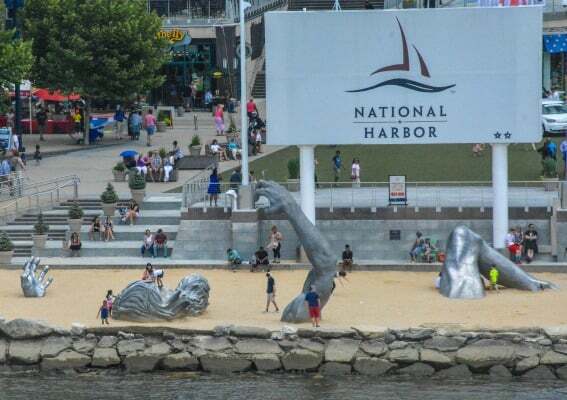 Surrounded by historic locations, National Harbor itself is relatively modern and home to a variety of restaurants, the iconic Awaking statue rising out of the sand, and The Capital Wheel. 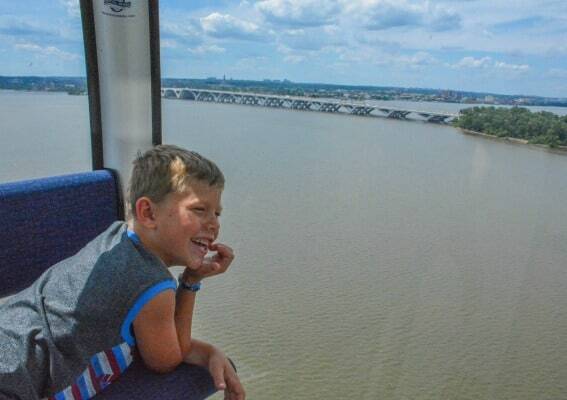 My son’s favorite part of our summer visit to National Harbor was a ride on The Capital Wheel. 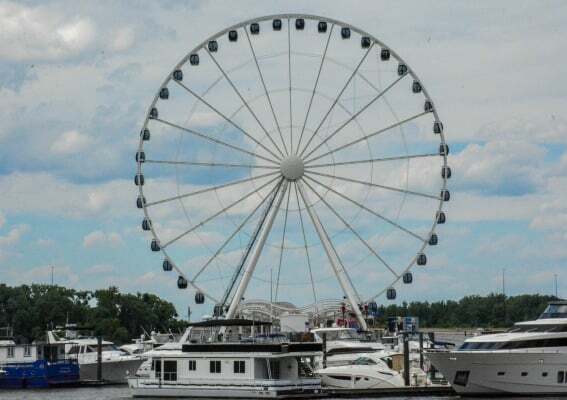 I have to admit that The Capital Wheel tests my mild fear of heights to a degree – especially when riding with my children who love to dance as our car rises to the top of the wheel and press their faces to the glass in hopes of a better view. However, for me, the views and the smiles on my children’s faces win out over my fears. After riding The Capital Wheel a total of three times now, I have to say that it is not a must-do when visiting Washington DC; however, it is a lot of fun. I’m guessing that our third trip on the wheel won’t be our last. My kids love climbing on the Awakening, a man rising out of the sand on the banks of the Potomac River. I have pictures of them balancing on the man’s finger, siting in his mouth and sliding down his leg. A visit to National Harbor truly isn’t complete without some playtime out on this statue! During the summer months, there are many festivals and weekly events to enjoy around National Harbor. A free outdoor movie series, Movies on the Potomac, plays every Thursday and Sunday night. Bring a blanket or lawn chair, and settle in by the National Harbor’s main stage for a date night film on Thursday nights and a family-friendly feature on Sunday nights. On Saturdays and Sundays, be sure to visit the Miller Farms Farmer’s Market from 10:00am – 5:00pm, along National Harbor’s American Way. This open-air market offers home-made baked goods, gifts, local produce, and more. The Gaylord National Resort is a great home base for exploring some of the region’s top historic sites by car. 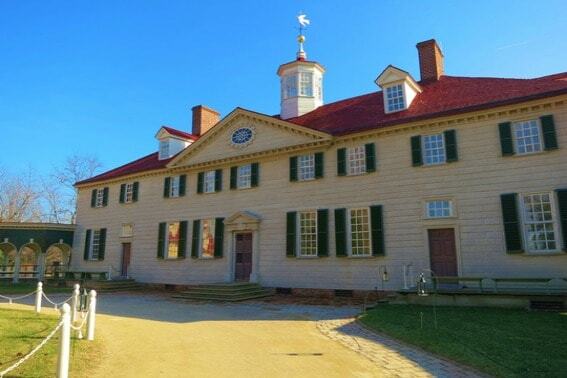 George Washington’s Mount Vernon is a quick 20 minute drive across the Potomac River in Virginia. Also, even closer, within sight of National Harbor, the historic town of Alexandria is literally just across the river; a water taxi services both National Harbor and Old Town Alexandria connecting the two popular destinations. Of course, downtown Washington DC is located just about 20-30 minutes from National Harbor depending on traffic. National Harbor provides great access to some of Southern Maryland’s off the beaten path destinations like nearby Fort Washington Park, an abandoned fort along the Potomac River now managed by the National Park Service. Venturing further into Southern Maryland families can discover the Thomas Stone National Historic Site, Historic St Mary’s City, and the Calvert Marine Museum. Planning to Stay in National Harbor? Check out Trekaroo’s Top 10 Day Trips from Washington DC! 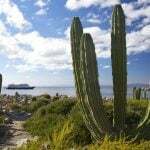 Many of these are an even easier drive from the National Harbor area in Maryland. 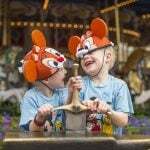 Disclosure: The author and her family were provided a complimentary stay at the Gaylord National Resort and Convention Center to preview their SummerFest activities in June 2017. All opinions are her own.